EghtesadOnline: In a letter to United Nations Secretary-General Antonio Guterres and the UN Security Council, Foreign Minister Mohammed Javad Zarif warned that the United States' recent designation of Iran's Islamic Revolution Guards Corps as a foreign terrorist organization would heighten tensions to a "confrontational and uncontrollable level". The White House announced the decision in a statement on Monday, saying it is "a clear message to Tehran that its [alleged] support for terrorism has serious consequences". The designation is the first time that the United States has ever named a country’s military force as an FTO, Financial Tribune reported. 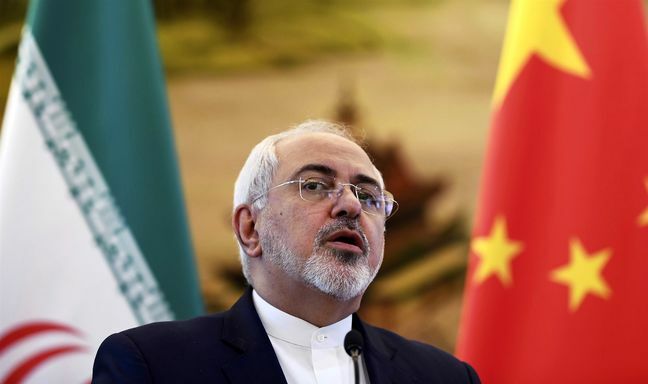 Zarif described it an "unprecedented, illegal and dangerous measure" against an official branch of the Islamic Republic's armed forces by the United States' current "lawless" administration, according to the Persian version of his letter published by IRIB News. He cautioned that the "provocative move" raises the risks of incidents in a region that has already been facing numerous challenges, adding that the US government, along with those who have openly confirmed their participation and influence in the decision and "two or three puppet regimes" that supported the act, will have to bear total responsibility for the dangerous consequences of this "adventurous action". Zarif was referring to Israeli Prime Minister Benjamin Netanyahu’s appreciation of the US measure for “acceding to another one of my important requests”. Saudi Arabia and Bahrain have also supported the designation. Zarif expressed Iran's strong condemnation of the "baseless" label applied to IRGC, saying the hostile act is deemed a threat to regional and international peace and security. The designation, according to Zarif, is an obvious violation of the principles of international law and the UN Charter, including that of sovereign equality, even for the US administration that has already taken multiple illegal unilateral steps. Based on the principle of sovereign equality in international law, all sovereign states possess the same legal rights as one another. Zarif noted that Washington has always supported extremist and terrorist groups in West Asia, as openly confessed by the incumbent president [Donald Trump] in his election battle–whereas Iranian armed forces, particularly the IRGC, have led the campaign against such operations in the region. “The role of IRGC in combating terrorist groups sanctioned by the UNSC, such as Al-Qaeda, IS [the self-styled Islamic State terrorist group], Al-Nusra and others, has been acknowledged and appreciated by the victimized people and governments,” he said. In response to the designation, Iran’s Supreme National Security Council placed the US Central Command (CENTCOM), which is responsible for Middle East and Central Asia operations, on its list of terrorist groups, regarding the US regime as a state sponsor of terrorism. Zarif, in his letter, censured CENTCOM for enacting American terrorist policies against West Asian countries by intentionally targeting civilians. "CENTCON has threatened the national security of the Islamic Republic of Iran and the lives of innocent Iranian and non-Iranian individuals," he wrote, pointing to the attack on an Iranian passenger plane in 1989 and its role in the mass killing of Yemenis and other civilians in West Asia as examples of such hostility. Nevertheless, Zarif emphasized that despite the terrorist nature of CENTCOM's activities, Iran's labeling of the forces was merely "reciprocal action" and should not be interpreted as a change in Tehran's legal attitude toward the principle of equal sovereignty and the concept of terrorism.